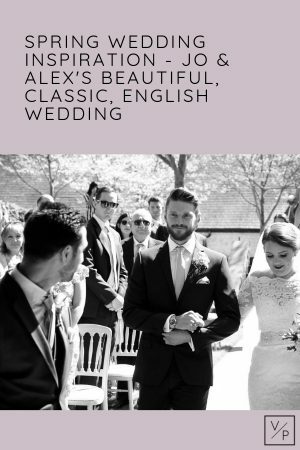 Jo and Alex’s wedding at Bury Court Barn was stunning! We filmed at the Barn last Christmas for Hannah and Mike’s wedding day so when Jo asked us to film hers and Alex’s day we were very excited to go back. We know Jo and Alex through Rachel’s cousin Sophie. The advantages of knowing the wedding party so well? They are super relaxed around the camera! We found it very difficult not to laugh when Soph hit the ceiling popping the Prosecco cork! We always love hearing what our couples think of their films and knowing Jo and Alex so well, we were thrilled they loved it. Thank you so much for having us Jo and Alex. The day started in the beautiful Oast Cottage with Jo, her mum and her bridesmaids getting ready. It is a beautiful building and set up perfectly for preparations with a kitchen and hooks to hang the dresses / suits. Jo’s beautiful flowers by Heavenly Scent smelt gorgeous and lasted really well throughout the day too. The civil ceremony took place underneath the rustic gazebo alongside the barn. There’s something so magical about outside weddings, the sun was shining which added to everyone’s happiness. The readings were personal and lighthearted which really added to the ceremony. After the ring exchange they were declared husband and wife and sealed their married status with a kiss. A super happy moment but over too quickly so the lovely registrars suggested they kissed again, to the cheers and applause of the wedding guests. After the ceremony all the guests were entertained by a fab magician Danny from Red Hat Magic with delicious canapés and drinks by Jacaranda Catering. The photographs taken by Summer Lily Studio were light and sophisticated with lots of emotion. Terri was great to work with too and we think her work speaks for itself! The evening entertainment kicked off with their first dance performed by Kickstarters Wedding Band. We loved Jo and Alex’s choice of Shut Up and Dance by Walk the Moon, romantic and super fun at the same time. They definitely wanted to have a great time and a brilliant photobooth and casino from Twilights Entertainment definitely helped make that happen. We love a photobooth because the video footage is priceless! 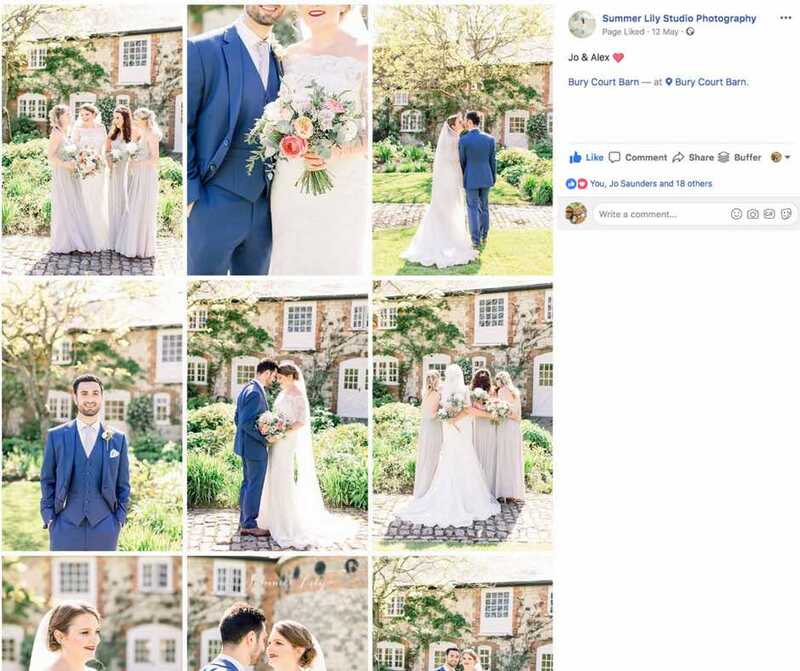 Getting married at Bury Court Barn and looking for a videographer? Contact me below, I’d love to capture your special day.